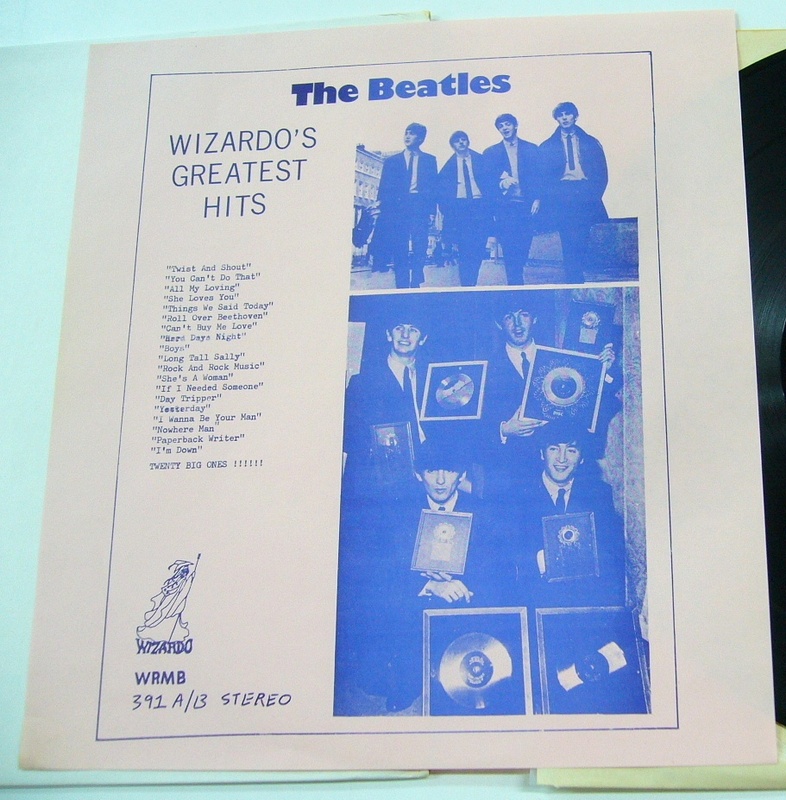 The above image shows the back insert and also gives it away as a non-ZAP release as this was very un-ZAP-like, nor would the label list the number of the LP as it does here. 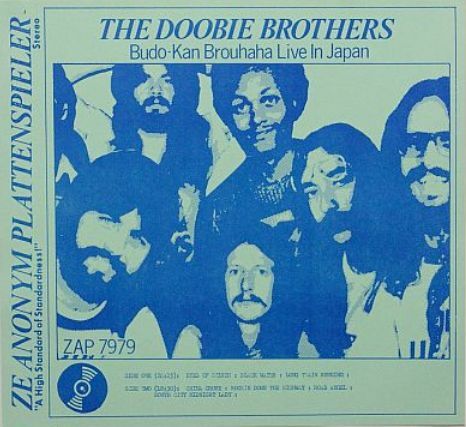 This is in fact the second pressing of a Japanese bootleg. 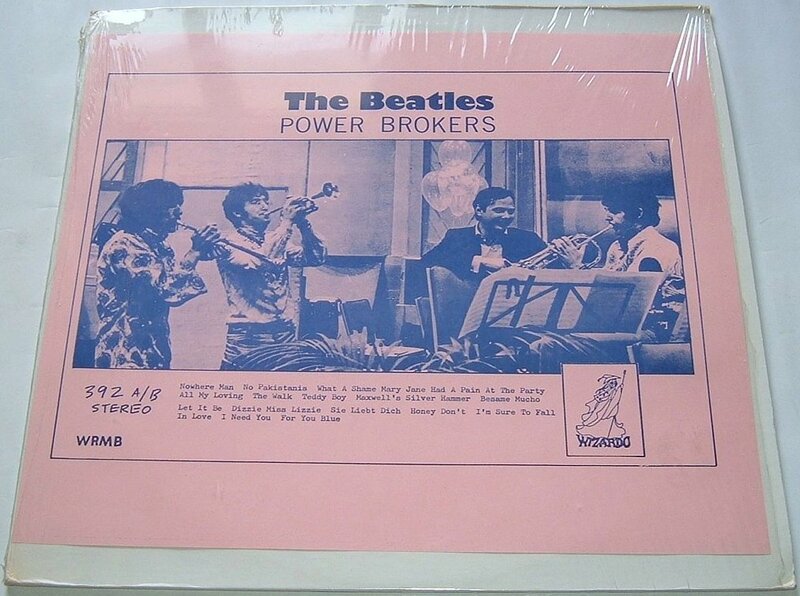 Which would also explain why this title goes for considerably more than the usual ZAP title at auction (the pictured copy sold for $180 in October 2012). Quality described as “not too great / B ” due to some distortion and the distance from the stage it was recorded from but still an improvement over the video soundtrack due to better vocal balancing. Recording: (*)Excellent mono professional FM broadcast; (**)Excellent stereo professional pre-FM soundboard radio recording; (***)Excellent mono professional pre-FM soundboard radio recording. Source: (*)Pacific Coliseum, Vancouver, Canada Mar. 21 ’70; (**)In Concert, Paris Theatre, London, England Apr. 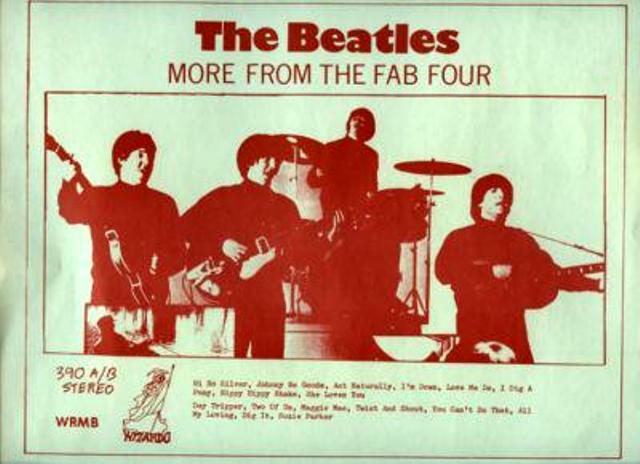 1 ’71; (***)Maida Vale Studio 4 (BBC – Top Gear with John Peel), London, England June 24 ’69. 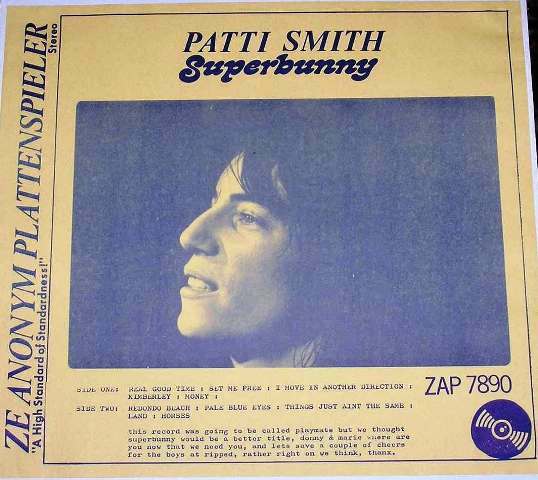 Side 1 & 2: A rerelease of ON STAGE IN EUROPE 1975 (Ze Anonym Plattenspieler ZAP 7867). 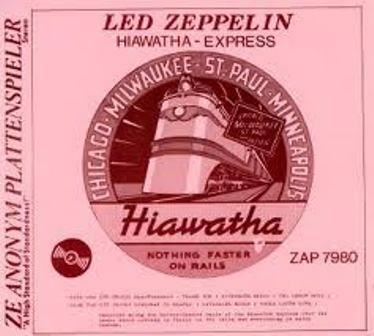 Side 3 & 4: A rerelease of HIAWATHA EXPRESS (Ze Anonym Plattenspieler ZAP 7980). Comments: US bootleg. Deluxe black & white front. Deluxe color back. Very nice ZAP cover idea and execution. Regarding the Toasted release, I understand that “Absence” is a wordplay on Led Zep’s seventh studio album title but i.m.h.o. this should have exchanged titles with the Beatles Toasted LP “Renaissance”. Makes you wonder, did all Toasted titles end in “…nce”? I doubt that this album is really from any of those shows. Now that the weather is getting warmer and the sun shinier I feel it safe to once again take a trip down into the basement and mingle with my vinyl friends (who have given me more hours of downright happiness and pleasure than any of my real flesh and bone ones ever have!). And since I just “happened to get hold of” a load of those great (once) clandestine bootleg albums that sure zone me back to the days of those long-gone outta-the-way budget record shops, I thought I’d make it a PROJECT to review for you each and every weekend a bootleg album (or Cee-Dee if the moment arrives) perhaps to reminisce about record buying adventures past or to further document a portion of a seventies/eighties-era piece of rockism that really hasn’t been discussed to the utmost. Naturally I’m only doing this mostly to help pad out these weekend posts and make ’em look a lot meatier than they have the past few weeks so don’t say I have an ulterior motive doin’ this! Here are a couple oddities from the now-distant and much-missed (in some respects) seventies, Flamin’ Groovies bootlegs that weren’t put out by Skydog Records! Really, one would gander that only a Skydog or some other small specialty bootleg company would have dealt with a group the cult status of the Groovies, but it looks as if the big timers in the underground biz took a shine to our San Franciscan heroes as well. 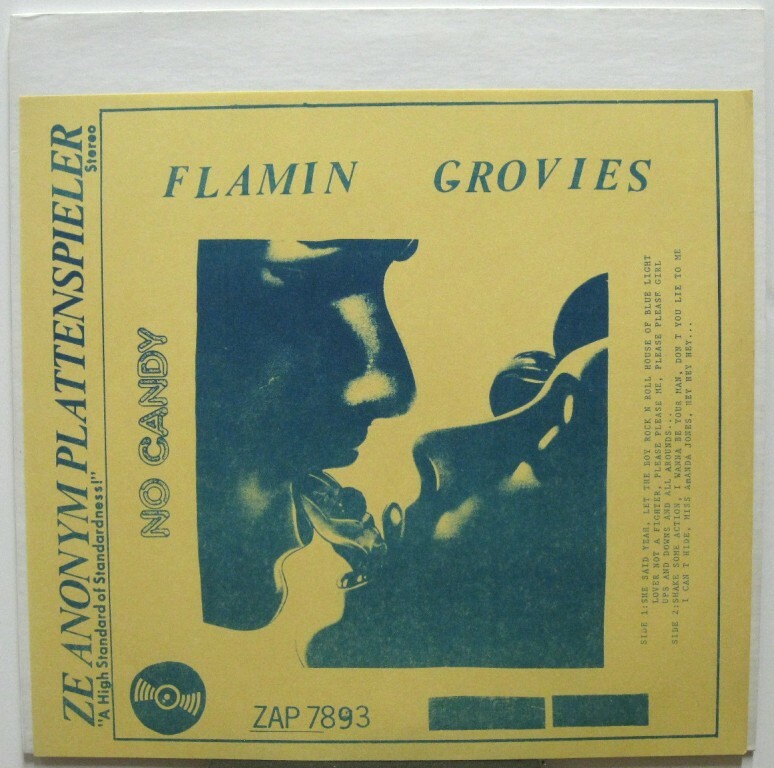 The first offering up for today, NO CANDY, was released by the “Ze Anonym Plattenspieler” label who I guess fell for the SHAKE SOME ACTION album a lot harder than the rest of the music buying populace. 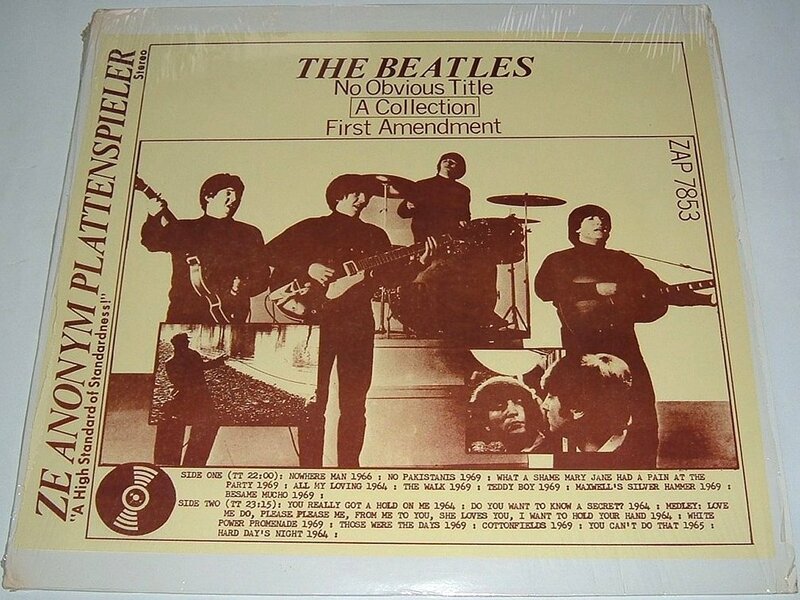 I mean, why else would they issue this live recording from August of 1976 featuring our heroes in the middle of a grueling tour kicking out the jams for a rather rabid and appreciative audience when they could have used the vinyl cranking out yet another nth-generation Beatles platter? Sound quality is good enough mid-seventies cassette job about as clear as many of the similar items that were cluttering up the bootleg bins back in the day, while the performance is, er, action-packed as well with the Groovies at the outset of their “power pop” period bridging the energy of the pre-hippie sixties with the budding new underground that somehow caught everyone by surprise during those hard-thrust times. Funny, but I don’t recall seeing this one in any of the bootleg bins or catalogs of the day. My guess is that this was so desired that it actually sold out before I could get to the store. 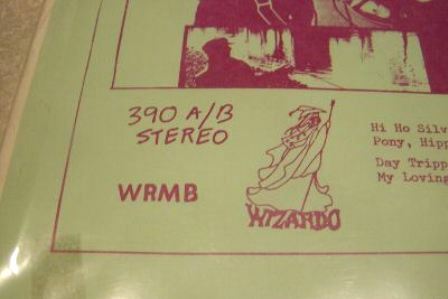 I find this a bit puzzling, a band I had never even heard off, no hits, no radio play, yet bootleggers obviously liked these guys enough to take the financial risk (there is a Wizardo title – LIVE AT THE ROXY – as well). On the other hand, a band like America’s finest prog-rock group, Kansas, who were fairly big by 1976, never had a vinyl bootleg out. 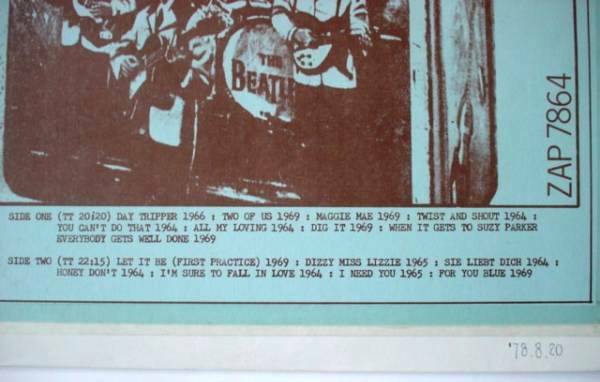 It is interesting how bootleggers had an influence on tastes and artist visibility that way.